Learning how to help your pet overcome their fear of fireworks, storms/thunder and any kind of noise phobias is the kind, compassionate, BEST thing you can do. In fact, more animals get lost and go missing during fireworks celebrations than at any other time of the year. Storms with the scary lightening and crashing booming peals of thunder can scare animals into a panic. Many suffering pets begin freaking out before the storm even arrives and can become destructive, to themselves and your property. 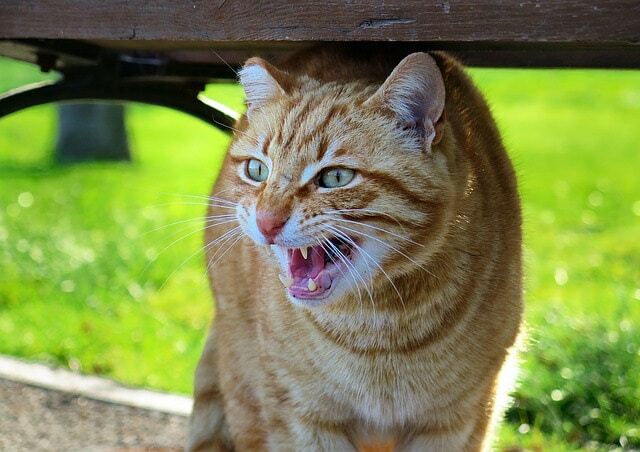 Is your pet skittish? Any loud noise makes them react fearfully? 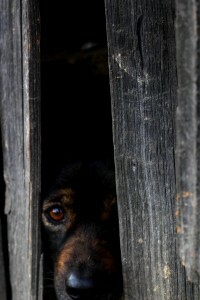 Maybe you’ve tried training, calming and reassurances, but they are still afraid. Maybe you’ve resorted to using drugs. But what if you’re not Johnny On The Spot to give it to them when they get afraid? Or the drug isn’t working, it’s expensive or has harmful side effects? 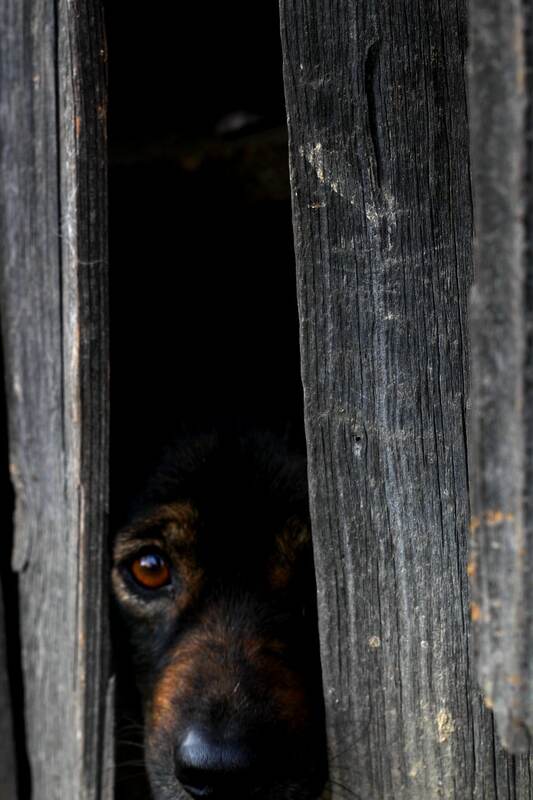 I hate knowing an animal is living with fear. Fear itself takes a huge toll on their nervous system, their bodymind, their emotions and ultimately sabotages their immune system so they are more vulnerable to illness, pathogens an d disease. I also hate knowing you are living with an animal trapped in this predicament. It’s a nightmare situation for both of you. I know because I’ve worked with hundreds of animals and their loving caretakers in similar situations. In every case, I was able to ease the suffering, help them find their peace, and not be afraid. It’s a life changing experience — from nightmares to acceptance, calm and ease no matter what the weather or the crazy people are doing with their fireworks! My students in the Animal Talk Coaching Club recently asked me to teach them my tips, techniques and protocol for helping animals with these kinds of fears, and so I did! This online course is recorded live straight from class so you can enjoy it too. Because your ability to understand animals and improve your skills in communicating with them to solve problems like this will go a long way toward helping them find their inner peace, calm and settle so they can be safe, happy and healthy. In this unusual and fascinating course for animal talk students (and professional communicators), you are about to learn how I go about solving problems like this with animals of all kinds and with all sorts of noise phobias. 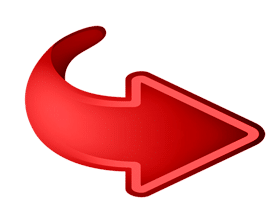 Right now, you have a chance to learn too! And you can save $50 off the regular price! If you want to help your pet overcome their fears, then this is your chance. In this Course, you’ll get my best tips, techniques and guidance on how to manage and resolve fear of fireworks, noise phobias and storms. Normally, the Overcome Fear Course sells for $97. A 50 minute course, it includes 6 short, easy, fun, inspiring audios that only take between 5 to 15 minutes each to listen to. A digital self study course, there’s no need to juggle your schedule to attend a live course. You can go through it on your own time and you’ll never miss anything. And you can go back to review anytime you wish! The Club member students loved the course! I think you will too. And if I figure out how to improve it even more, or decide to add new bonuses, you’ll get instant access to them at no extra charge. 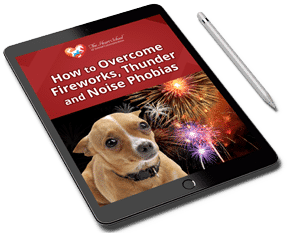 Today you can get the Overcoming Fear of Fireworks, Noise Phobias and Thunder course for only $47 and save $50. It’s fully guaranteed so there is no risk to trying it out. I believe strongly in the value and quality of the Heart School courses to substantially increase your animal communication skills, advance your intuition, deepen understanding and improve your animal caretaking. NOTE: This Course is designed for animal talk students who have the basics down. Trust your inner wisdom and put your love for animals where your heart is! Learning how to help animals with fear is a gift you will enjoy for the rest of your life! Click the Link. Save $50 and You’re IN! Yes! 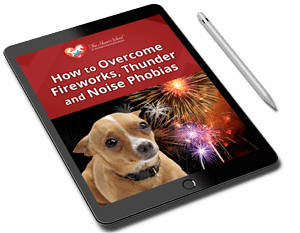 I Want To Know How to Help Animals With Fireworks, Thunder and Noise Phobias and Love Saving $50 too! I’m a firm believer that every animal talk student needs to know how to communicate with their animals especially when they are afraid. Anything can happen at any time, and your animals have important things they need to discuss with you. Your being there for them when they are fearful makes a HUGE difference in their health and well-being. After having taught thousands of animal lovers how to talk to animals, I can assure you that every animal talk student CAN learn how to do this if you want to. If you want a healthier, happier, more peace filled pet, then I hope you decide to continue your journey into the wonderful world of animal communication by taking the next step and learning how to help them with their fears. Interesting side effect is that learning this will help you with your fears too! Seriously, this is an extraordinary spiritual journey that will change your life. Trust your inner wisdom and put your love for animals where your heart is! Learning how to help pets with fear is a gift you will enjoy for the rest of your life!